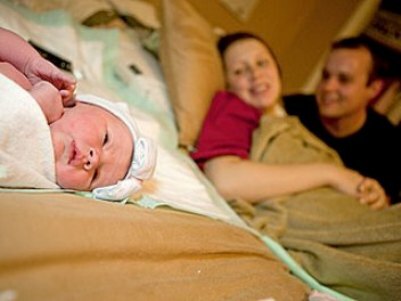 Well I warned you, and now it’s happened – the Duggar clan has officially added a generation. 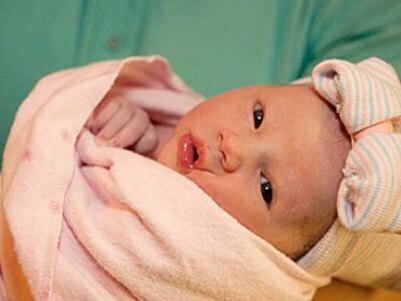 The eldest Duggar boy, Joshua, and his wife Anna welcomed a daughter into the world this week, naming her Mackynzie Renée Duggar. Mackynzie is the first child for Josh and Anna, as well as the first grandchild for Jim Bob and Michelle Duggar – who themselves are expecting child number 19 next spring. The newest Duggar’s name came from a combination Josh’s cousin’s name (Mackynzie) and Anna’s middle name (Renée), but the couple hasn’t completely committed to “M” being the letter to begin all their children’s names. The Duggars famously have chosen “J” names for all their children. Mackynzie Duggar’s birth will be featured on TLC’s 18 Kids and Counting special First Grandduggar, airing Tuesday, Oct. 13 at 9 p.m.
Congratulations to the happy couple and the whole Duggar brood.